The gnomelings have made it into the shop after waiting many days for the sun to shine so I could take photos. 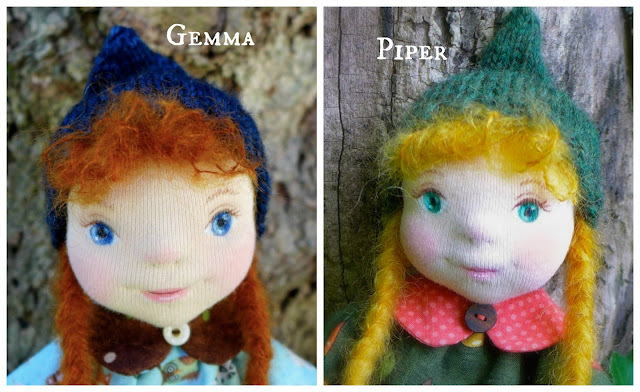 Meet Piper and Gemma! They've been out enjoying the beautiful weather and I can tell you they had a wonderful time! 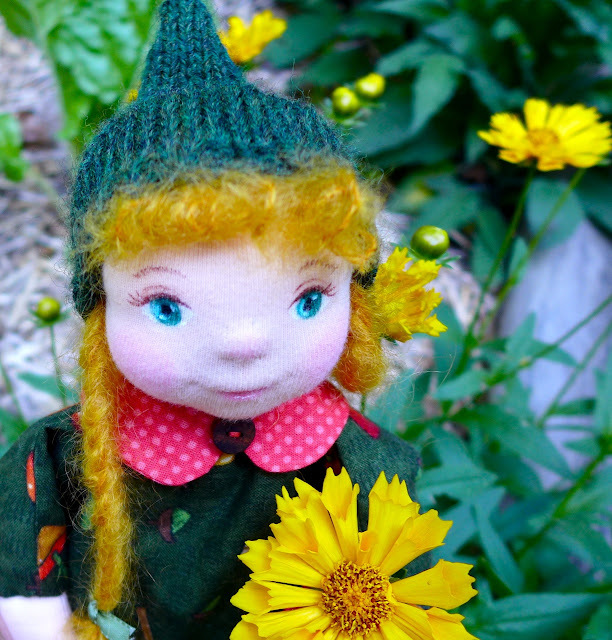 They are sweet and a bit mischievous girls; made completely from natural materials like wool, mohair, and cotton, and so very ready to go on adventures with a willing companion. 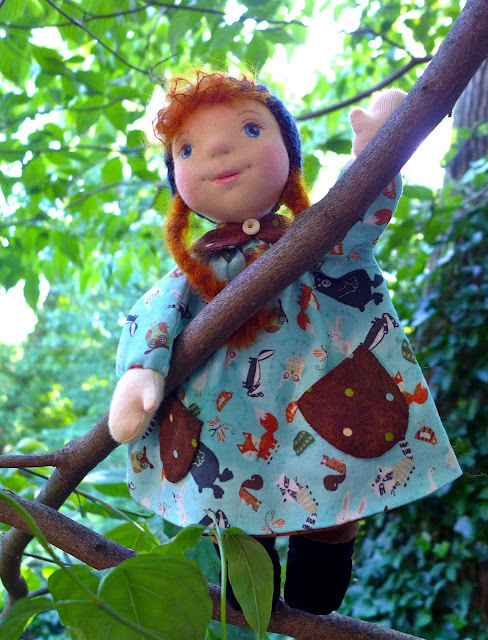 These are child friendly dolls but, because of the little button on their collar, not for those under 3.